National Safety Signs is an Australian owned and operated printing and Safety signage business based in Helensvale, Queensland. All signage is manufactured in our workshop. We provide quality long-life signs at competitive prices. 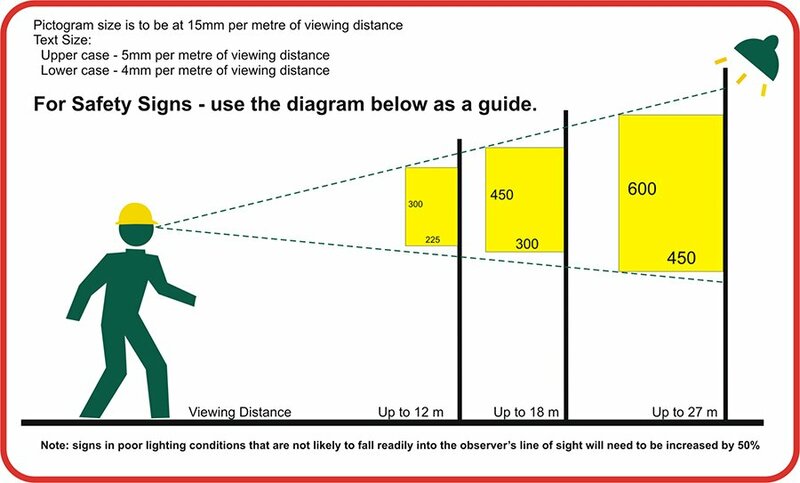 Browse through our safety signage collection, or design your own! At National Safety Signs, we use high quality vinyls and inks for indoor and outdoor use. We use aluminium, baked enamel steel with rounded corners, Magnetic Vinyl, Polypropylene and Corflute for our safety signage. Other materials are available for your special needs – just ask for a price and information. Signs are made from many materials: Polypropylene, Brushed Aluminium and corflute have square corners. Aluminium and Steel have laser cut rounded corners. All our signs have our name and part number printed on them, usually down the bottom in small light print. Please let us know if you do not want this. Actual sign may differ from online image. 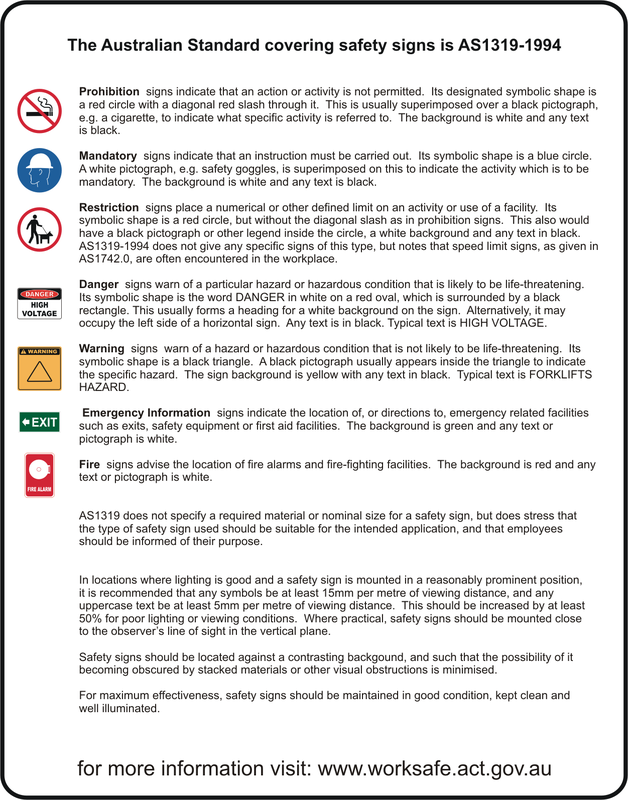 National Safety Signs follows the guidelines set out by Standards Australia for safety signage used in the occupational environment, AS1319-1994, and all other standards covered under this. To read a brief on this standard, click here (PDF). our ABN is 15334084176 and our Phone Number is 07 56658996. To be used as a guide only. Refer to the appropriate standards .